It arrived yesterday [Friday], the girl posted in on Thursday so for it to arrive the next morning was very AWESOME, suppose she did only live bout an hour away but meh haha. Well its not like this album is new out or anything [Released: 2009-09-04] its just i havn’t had the money to get it but my mum then said she would get it for me *spazzes* as a passing my second year of uni present WOOO. So this will just be a nice post with pictures and me doing some happy rambling along the way. 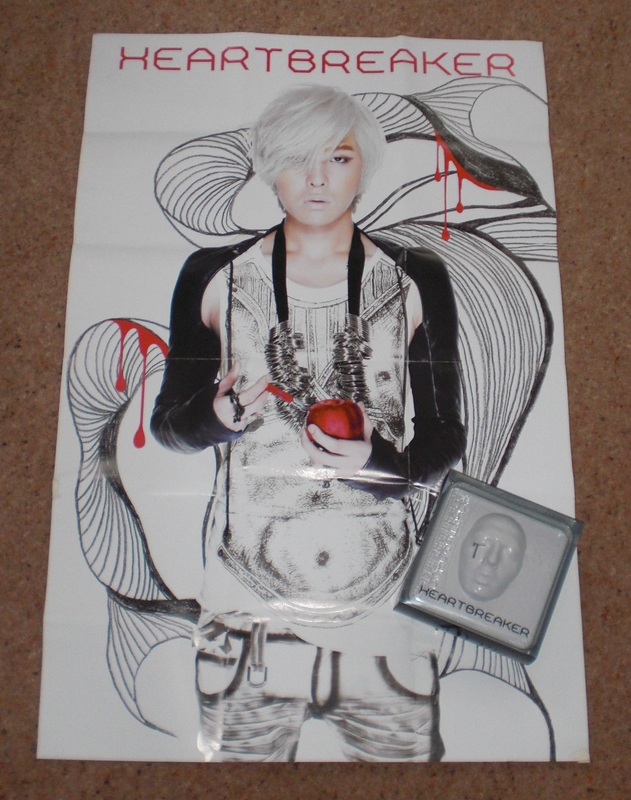 Well first off the poster/album that arrived 😀 i really wanted this ver of the poster too, the other ver was this one – the poster is much bigger then i thought it would be but this is a good thing cus i love HUGE posters 😀 – also you can see the album, which is also big haha. 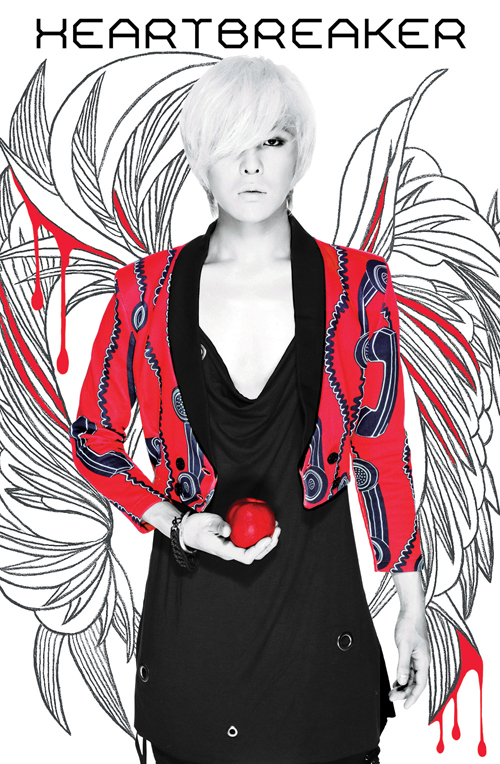 i shall be adding this poster to my wall once the other posters/albums i ordered arrive cus i don’t wanna have to re-arange my wall each time a new one comes – i shall update with a photo once they are all here though. well i have wanted these albums for a while now so thought hey why not just buy them all around the same time – this is prob a normal person’s thinking but mine was generally just I WANT I SHALL GET so i got one then thought duck it and brought the others i wanted, My mum brought me one too which was my reward for passing the second yr of uni cus obv without the reward of a kpop cd i would have failed *giggle* i hope i get two for graduating (i’m going to be starting my last yr of uni in sept DUN dun dun!!!) anyway back to my point of buying albums. I have ordered 4 and pre-ordered one which will prob ship at the same time as the others but meh, I shall go through them in the order i well you know ordered them HAHA. Yup SHINee ofc was my pre-order if you haven’t heard about this comeback wtf have u been???? no i mean SERIOUSLY where have u been? well yeh i used DVDHeaven again for my pre-order they ship out on the 20th which is 2 days sooner then YesAsia who ship out on the 22nd donno why they just do and i found YesAsia’s p&p last time SOOOOO SLOW where as each time i have ordered from DVDHeaven [this is my 5th time] its arrived within 10 days (using cheapest option and i am in UK [ships from korea] so that is awesomely fast). I have no idea which picture is going to be used for the poster i think i will be finding out on the day which is fine by me all the images i have seen so far have been AWESOME so i have faith it will be an gud picture. 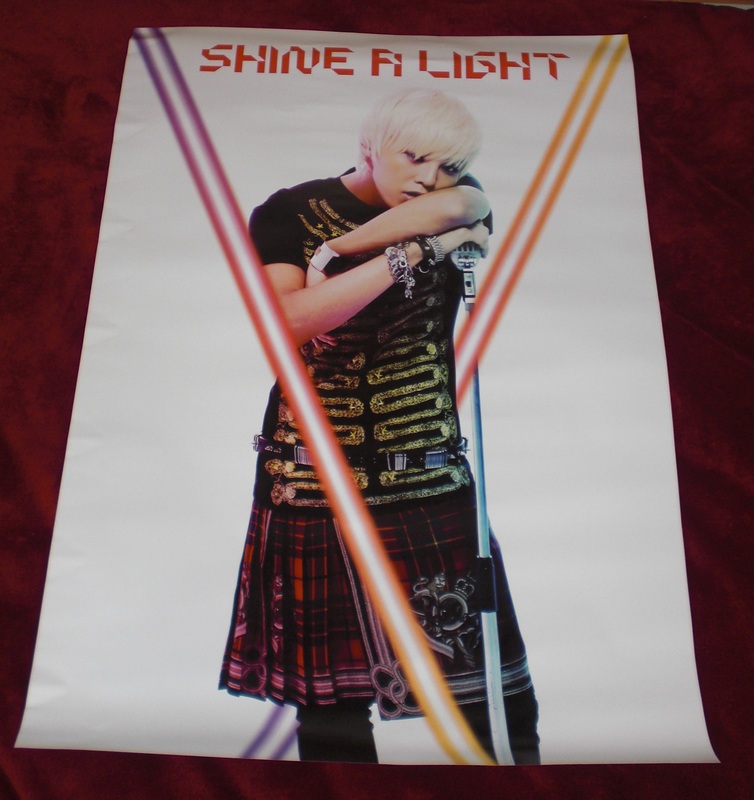 Yes yet another poster HAHA, this time G.Dragon believe it or not i still have 2 or 3 more i want haha, i just like all the groups i like to have some sort of wall space haha, i have yet to get Beast (which i so epically want) and a TVXQ one, among others but i shall not bore you with the details of my poster obssession instead i shall show you the poster haha.